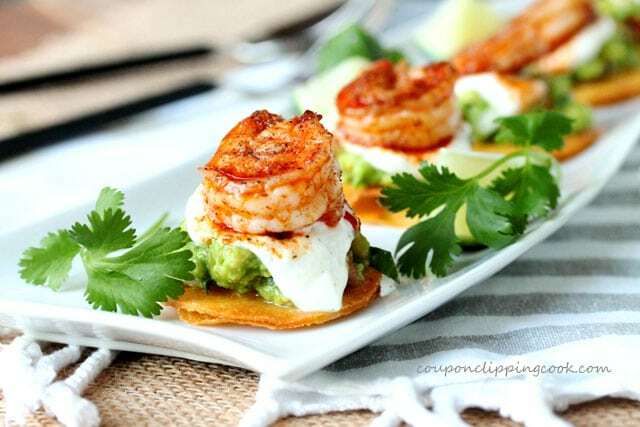 These appetizing mini shrimp tostadas with layers of homemade deliciousness will draw a crowd. 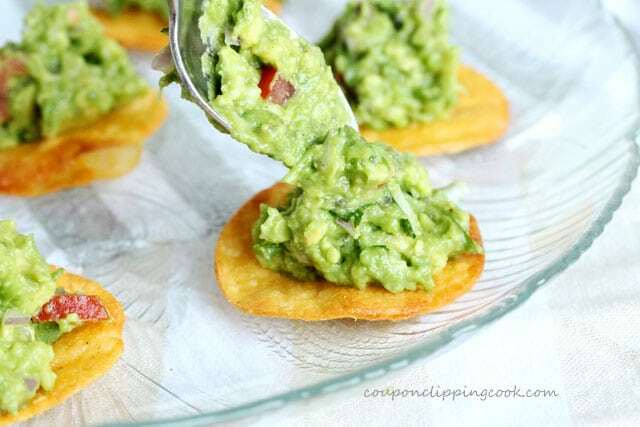 These tostada rounds are great for appetizers or a fun side dish. Or why not make them just for yourself as a main dish! They’re made with mini crispy tostada shells that are cut out of standard size corn tortillas with a cookie cutter and then lightly fried until they’re crispy. The hardest part about making these delicious morsels is trying not to eat them before they ever see the rest of the ingredients. 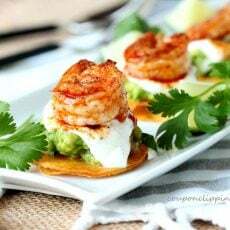 The crispy tostada shells are topped with a quick and easy homemade guacamole. This is especially hard not to snack on too. Then for another layer of flavor there’s a simple yogurt onion dip topping just before the scrumptious spicy shrimp are added. All of these flavors and textures taste soooo good together. The next big decision you’ll have to make is whether you pop the entire tostada in your mouth or eat it in a couple bites. I guess the most polite way would be to eat it in a couple bites but then it could get a little messy so I vote for eating it all in one bite. Plus, there’s the element of it tasting better when it’s all eaten together. 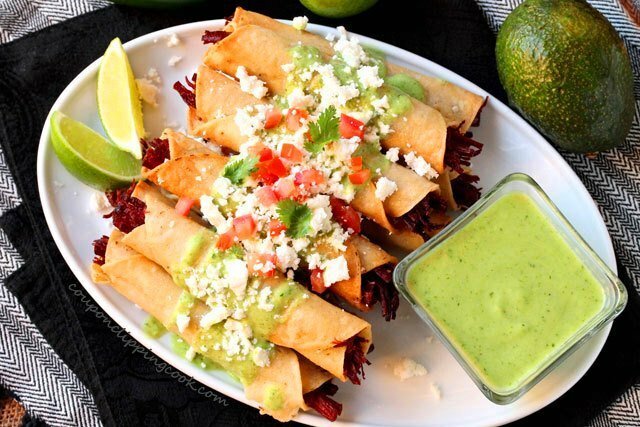 These are such a pretty and colorful appetizer that guests will spot them right away and dig in. 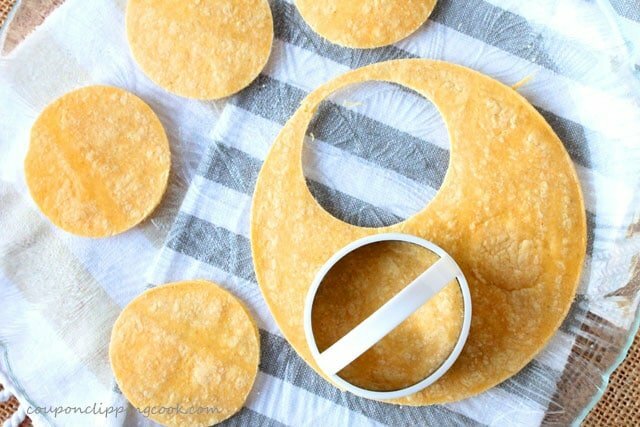 Using a round cookie cutter, cut 3 tostada rounds from each tortilla. Heat a small skillet on low to medium heat, and add the canola oil. 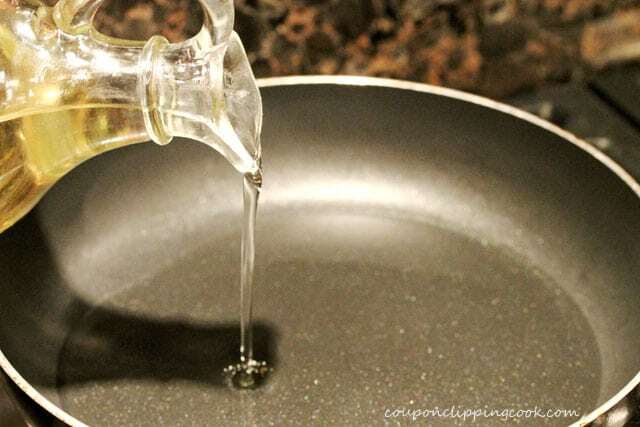 Put one of the scraps from cutting the tortillas into the skillet to test the oil. 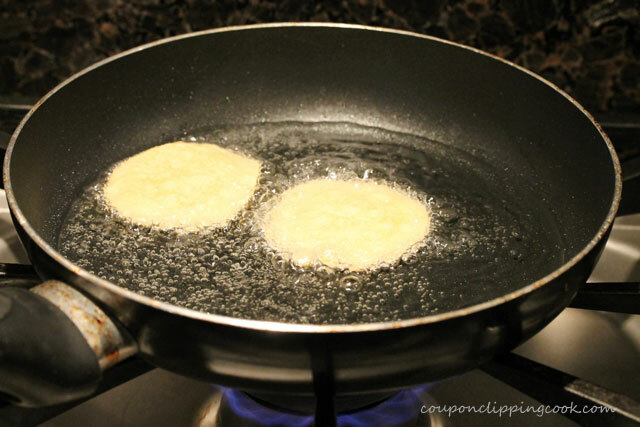 When the oil starts to bubble, remove the test scrap and put a few of the tostada shells in the pan. As soon as the bottom sides of the shells are a golden color turn them over. 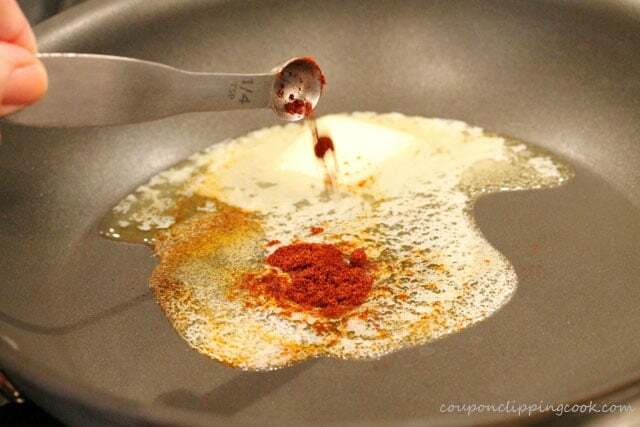 When both sides are a golden color remove them from the skillet and lay them on to a paper towel-lined plate. 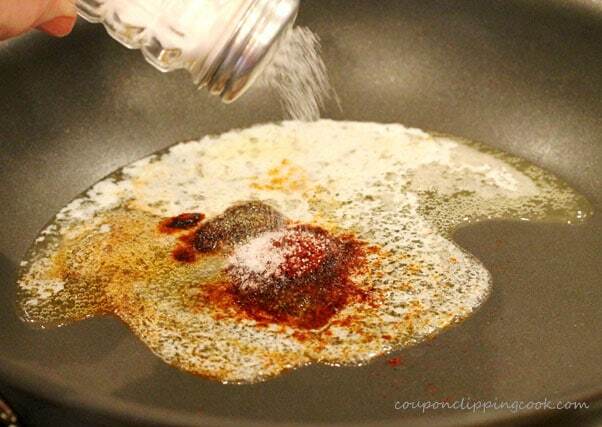 Sprinkle salt on top. Finish cooking the rounds in batches. Set aside. Cut the avocados in half length-wise and remove the seed. 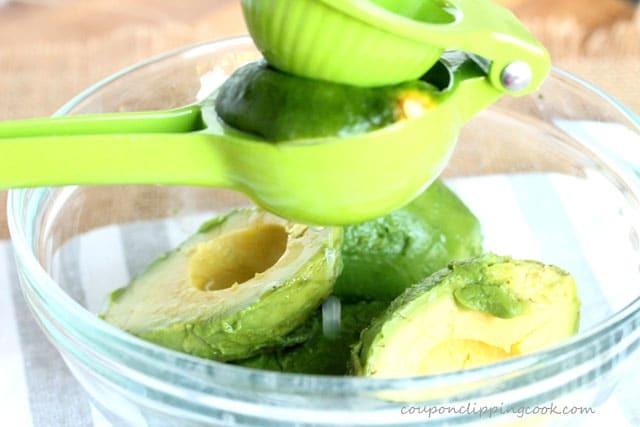 Scoop out the avocado meat and add it to a medium size bowl. …and mash the avocado with a fork. 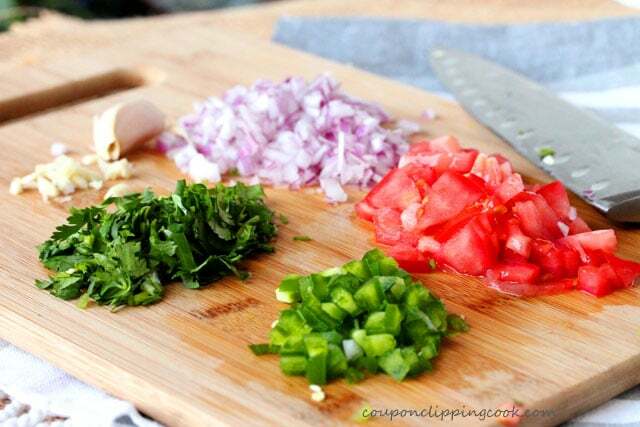 to the bowl, add the tomatoes, onions, and cilantro. salt. 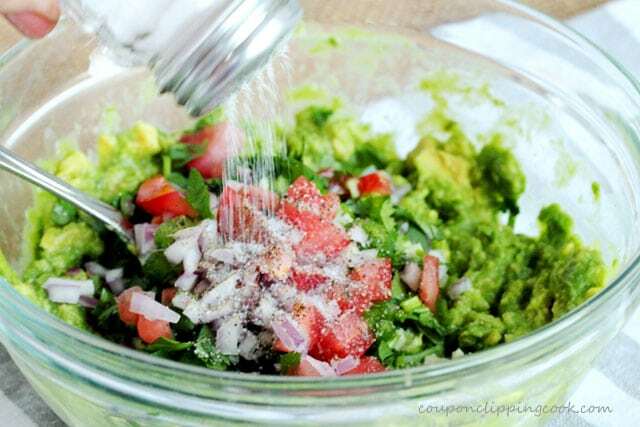 I happen to like a good amount of salt in guacamole but make sure to do a taste test and salt to your taste. …and set aside in the fridge while making the shrimp. Heat a medium size skillet on low to medium heat and add butter. turn them over and cook the other side for about the same amount of time or until they are thoroughly cooked. 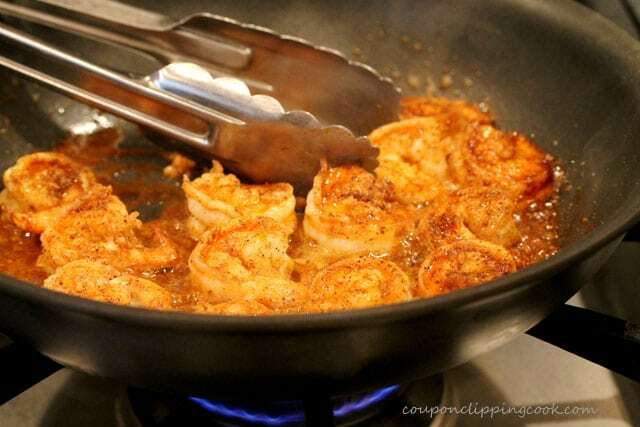 Then remove the shrimp from the pan and set aside on a plate. 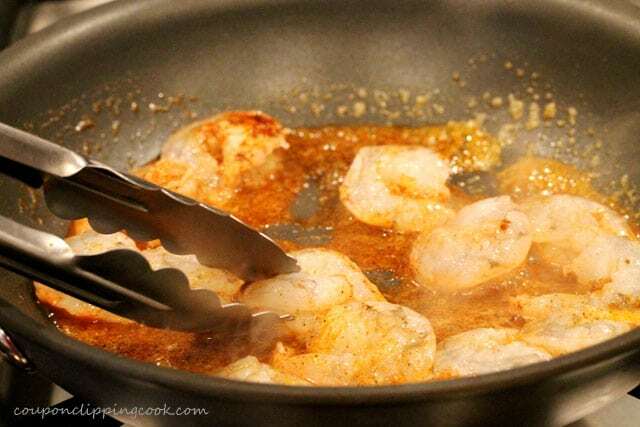 Drizzle any remaining butter from the pan over the shrimp. Set aside for a moment. 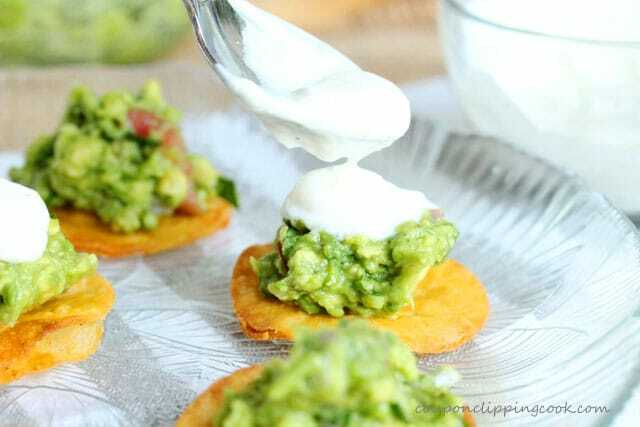 Top each tostada round with guacamole. 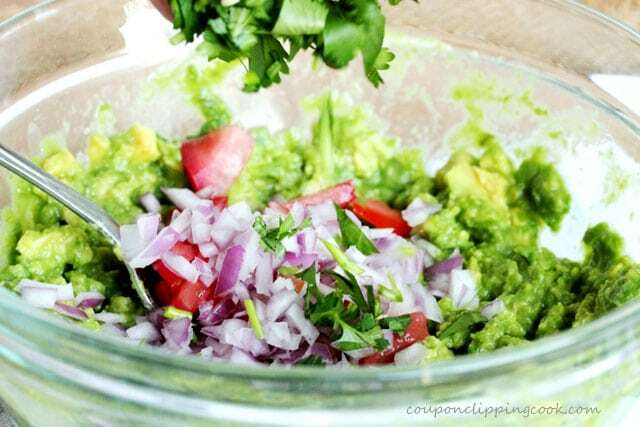 Then top the guacamole with yogurt onion dip. Heat a small skillet on low to medium heat and add the canola oil. 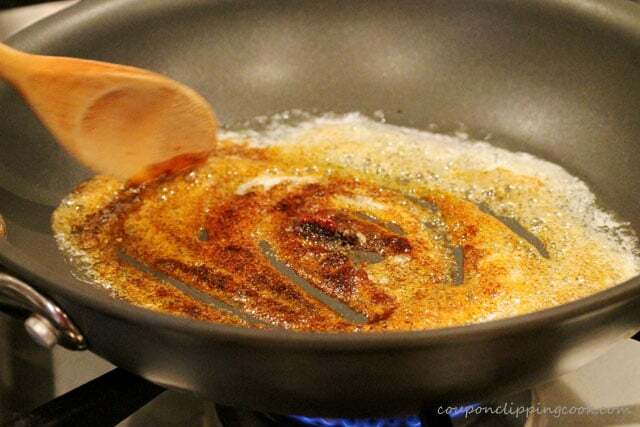 Put one of the scraps from cutting the tortillas into the skillet to test the oil. 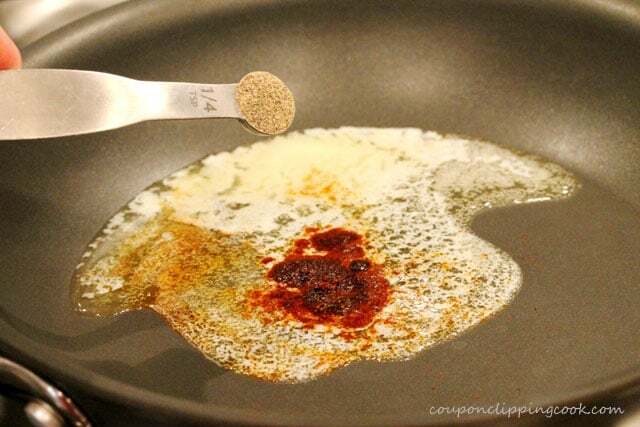 When the oil starts to bubble, remove the test scrap and put a few of the tostada shells in the pan. 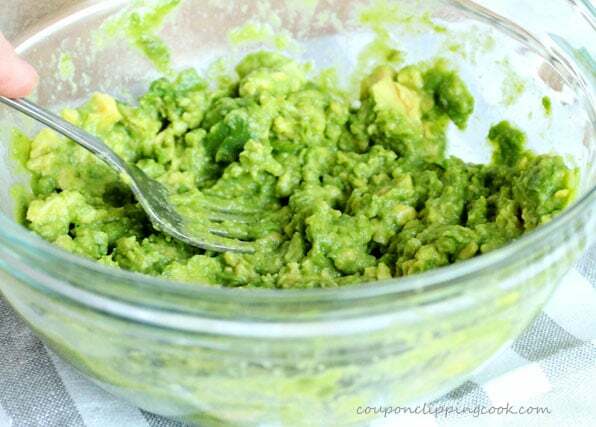 To the bowl, add lime juice and mash the avocado with a fork. 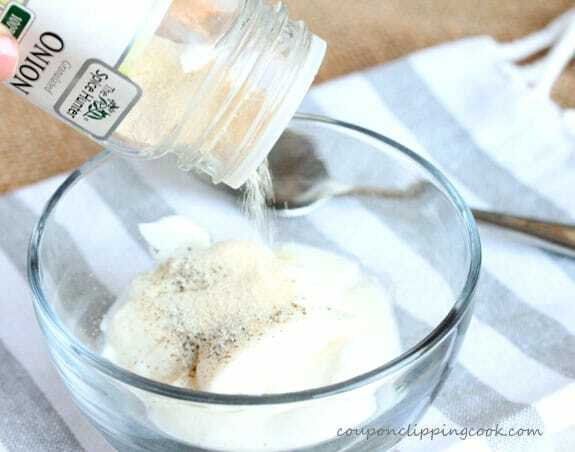 Add the remaining ingredients and mix together. Set aside. 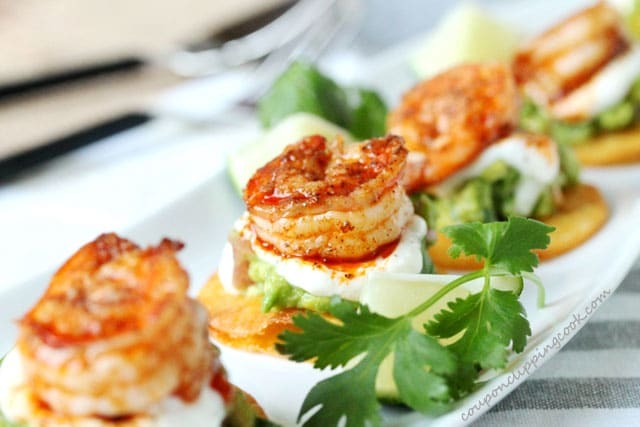 Mix all ingredients together and set aside in the fridge while making the shrimp. 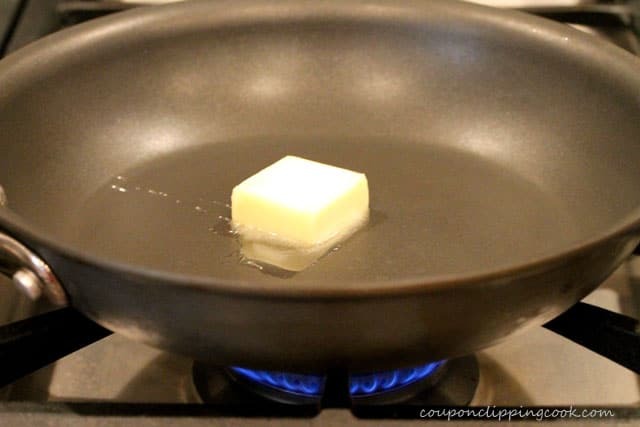 Heat a medium size skillet on low to medium heat and add the butter. Add the shrimp, chili powder, pepper and salt. Stir together. 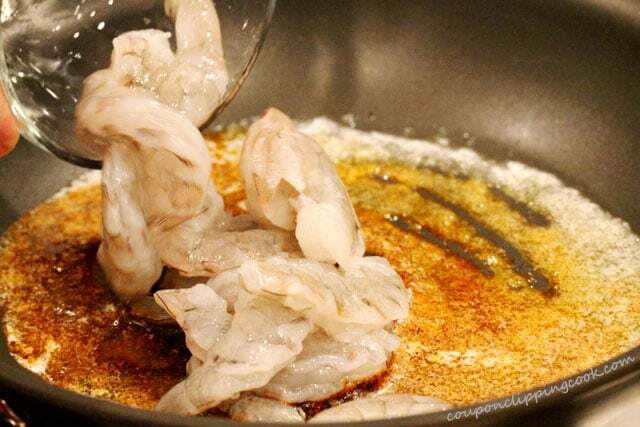 When the bottom side of the shrimp turn white (about 1 or 2 minutes), turn them over and cook the other side for about the same amount of time or until the shrimp are thoroughly cooked. 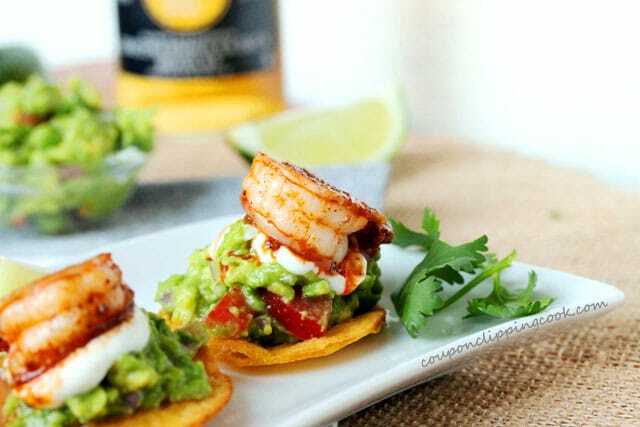 Top each tostada round with guacamole. 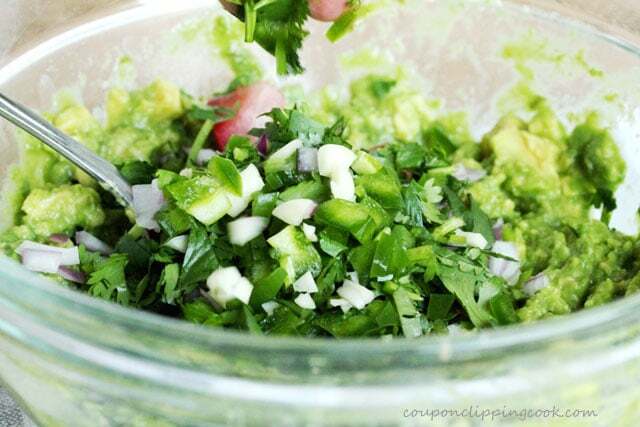 Then top the guacamole with yogurt onion dip. 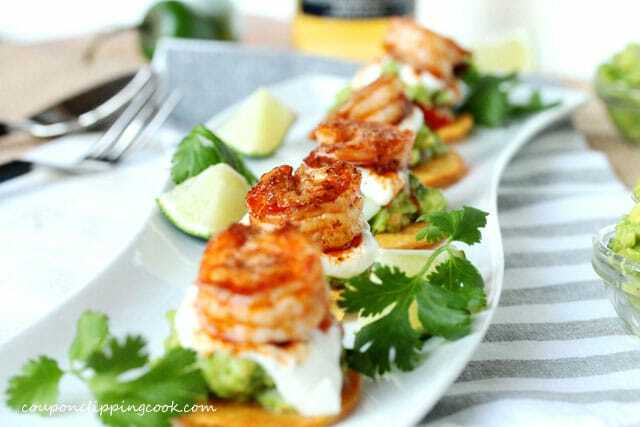 Next top the yogurt onion dip with 1 piece of shrimp per tostada. Garnish the serving plate with sprigs of cilantro and serve. These are beautiful and the recipe is so easy to follow. 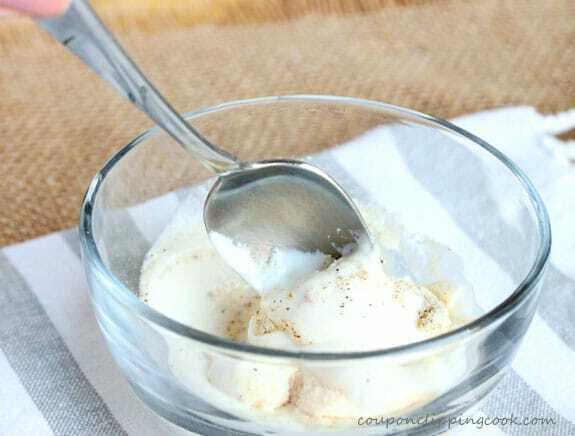 I’m making them this weekend. 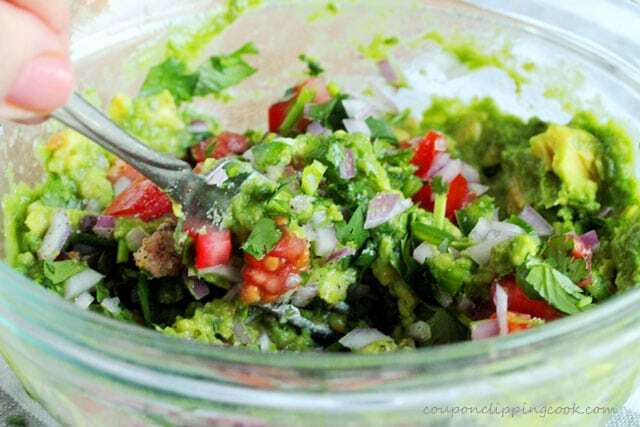 I have an incredible salsa recipe if you would like to try it. Thanks for sharing your recipe. Hi Janet, thank you very much. I hope you enjoy them. And I’m always up for a salsa recipe! 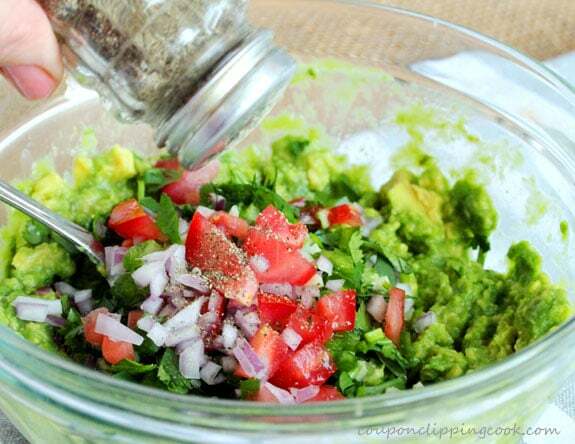 Salsa is one of my favorite toppings ever. how much of this can you make ahead… and how far ahead? would it be good if the shrimp are served cold? 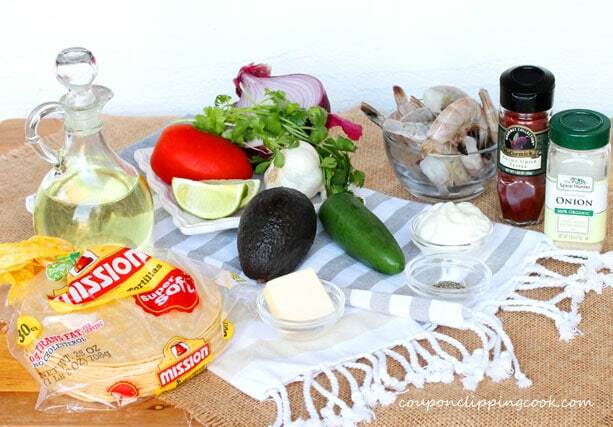 Hi Kristiaan, I think the yogurt onion dip and the guacamole could be made a couple days in advance. 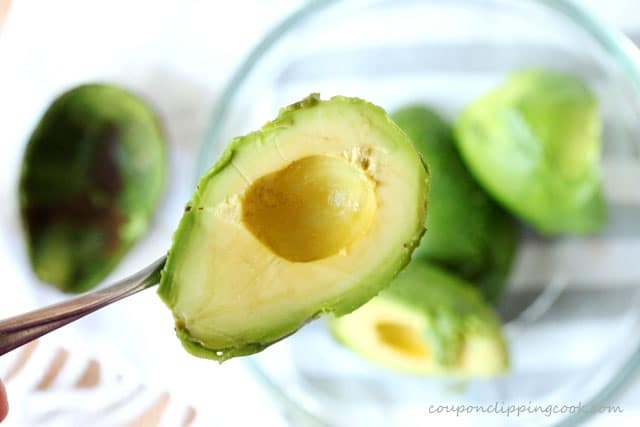 Just make sure to use enough lime juice in the guac (for example, if the lime you’re using doesn’t have a lot of juice, add a bit more); this way the guac should keep it’s bright color. The shrimp could be served cold but I would try to make them as close to the time when serving them as possible so they stay nice and fresh. I would try to assemble them as close to the serving time as possible so the chip stays crisp. Thank you so much for stopping by! This looks great! Thanks for the recipe. I’m adding it to my recipe box. So glad you like it. Thank you so much for stopping by!